Now you’ve enhanced your search result by including a thumbnail in search results – which increases click-through, providing important keywords in both title and descriptions, included audience ratings stars, displayed run time and audience for which the video is targeted. Included an embed URL and displayed the player size. All before anyone clicks to your video, they now better know what to expect when they do click through. They’ll click through at a higher rate because of those elements – which Google will reward with higher rankings. I recommend an introductory paragraph of text as well, because you may want to emphasize a specific segment or call out specific points. Tell your audience why the video is worth watching. Now, importantly, every word that was spoken during your video should be transcribed and added to the landing page where the video is embedded – not in a pop-up player, not in a separate iframe, but on the page. 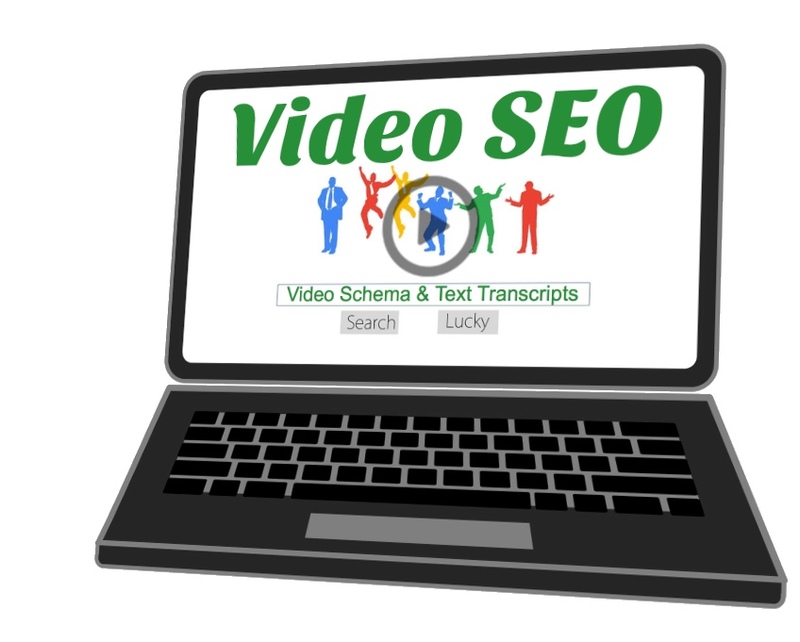 You can use accordion links to display the transcribed text only when it is opened if you want the emphasis on the video – but absolutely include that text on the page so that search engines understand the content of that video. You will now outrank nearly any competing site with similarly targeted content, simply because so few sites do even one of these basic video optimizations. They may pay attention to a good title or a complete description. But you’ll get more click-throughs from search results, which you will now appear more frequently in and all while you rank better. When your video is shared on social media, all those schema elements are also included in applicable social meta data. You win simply by being thorough with search engine desired data. They want this schema and they prefer good titles and descriptions. They want video thumbnails and ratings stars. The transcript is like frosting on the cake – it fully shares the video content and helps those who would rather quickly read or skim instead of watching. You are speaking to all members of your audience and are giving them options to consume this great video content in the way they prefer. You win. In search ranking and audience engagement. Congratulations! Want even more attention? Offer your video as an embed and encourage social media sharing by sharing it through business accounts. Encourage others by displaying social sharing buttons populated with relevant hash tags and make that announcement at a peak social traffic period. Honestly, this all assumes that you’ve got content organized into a hierarchy, interlinked the page well by relevancy and followed other basics of SEO. With everything else in good working order, adding schema and transcripts will likely push your video content over the top and earn it the search engine visibility it deserves. Mike Valentine has helped international businesses reach far more customers with technical SEO. Contact us.